In the past few years, the Islamic Republic’s leaders have shown a more moderate and open face to the world. The rate of executions, however, in particular for drug offenders, unseen in two decades, shows another face of Iranian decision makers, one of senseless brutality and contempt for citizens’ lives. Refusing to acknowledge facts or hear the voices of reason, including of officials who call for a change of focus from punitive action to prevention and harm reduction, they have preferred so far to eliminate the symptom of the problem by attacking the weak and the poor. On the occasion of the International Day Against Drug Abuse and Illicit Trafficking, 26 June 2016, the UN Secretary-General, Ban Ki-Moon called “on countries and communities to continue to improve the lives of everyone blighted by drug abuse by integrating security and public safety with a heightened focus on health, human rights, and sustainable development." This is an appropriate opportunity to open a window into Iran’s now 35 years old aggressive and punitive drug control policy, the human cost of which is simply too high to be ignored. By increasing the political cost of Iran's repressive drug policy, civil society and the international community can help convince the Islamic Republic’s leaders to change the status quo and protect lives. Addiction and drug trafficking are not new in Iran. During the twentieth century, a variety of solutions to fight addiction were tested from legalizing poppy cultivation and providing permits to opium users over the age of 50 to the introduction of the death penalty for trafficking in 1959. However, following the 1979 revolution, the use of alcohol and drugs was criminalized and the state declared war on addicts and traffickers alike. 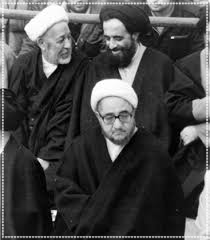 In the summer of 1980, the Council of the Islamic Revolution, a body created by Ayatollah Khomeini before the fall of the monarchy, approved a new law aimed at increasing punishments for drug offenses. The law criminalized consumption and established prison or corporal punishment for addicts. It increased the number of offenses carrying the death penalty and decreased the amount of drugs for which executions would be implemented. Out of 25 articles, only one calls, in general terms and in stark contrast with the detailed articles prescribing punitive measures, for the creation of detoxification centers to hold addicts and provide them with job training. With this law, the Council set the trend for a highly punitive approach to narcotics for decades to come. The Council tasked the revolutionary courts, established in February 1979 to mete out punishment and instill fear, with cracking down on drug offenders. The courts denied defendants the right to legal counsel, a nuisance according to Sadeq Khalkhali, the first Shari’a Judge, and appeal. Until the entry into force of the new Code of Criminal Procedure in June 2015, drug offenders’ only option to challenge their judgements was to ask for pardon. Today, in trials which can last less than ten minutes for each defendant, drug offenders may or may not be left to defend themselves. For crimes carrying the death penalty, the law makes the presence of defense lawyers mandatory during trial. Most often, defendants and their families described to ABF state appointed lawyers who are unmotivated and unwilling to take the necessary time with their clients whom they meet just before the trial. Judges take no time to hear the defense arguments and lawyers are asked to present their defense only in writing. Judges, who have, according to the head of Tehran Justice Department, 15 times more cases to review than the norm in any other country, are impatient, often rude and have contempt for drug offenders. Attorneys talk about judges that come to trial without having read the file, review cases and sentence several people to death in 30 minutes, or get paid to let go of big traffickers and punish petty dealers and addicts. The aggressive punitive policy, still in place today, has cost the lives of thousands and affected millions of Iranians and immigrants. Statistics published by the United Nations Office on Drugs and Crime (UNODC) or made public by Iranian officials over the years, though incomplete, are a concerning indication on the high number of people, offenders and their family members, who fall victim to the broken drug control system. Between 1979 and 2003, 911,646 addicts and 1,644,497 drug dealers were sent to prison. In other words, a total of 2,556,143 individuals were sent to jail in 24 years. That is a yearly average of 106,509. 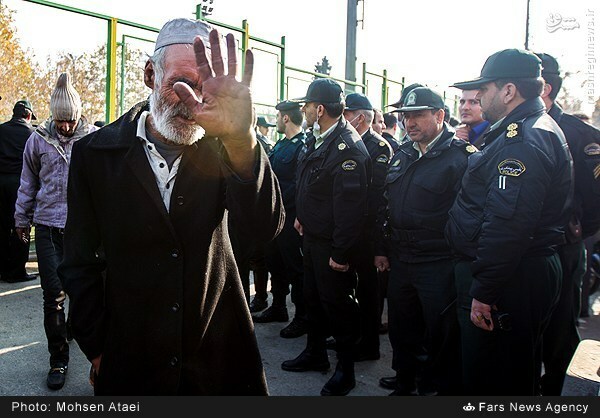 Over the years, the numbers have steadily increased, indicating the failure of the security approach favored by Iranian authorities. In 2008, officials estimated the number of individuals arrested and detained in Iranian prisons to be more than 700,000. 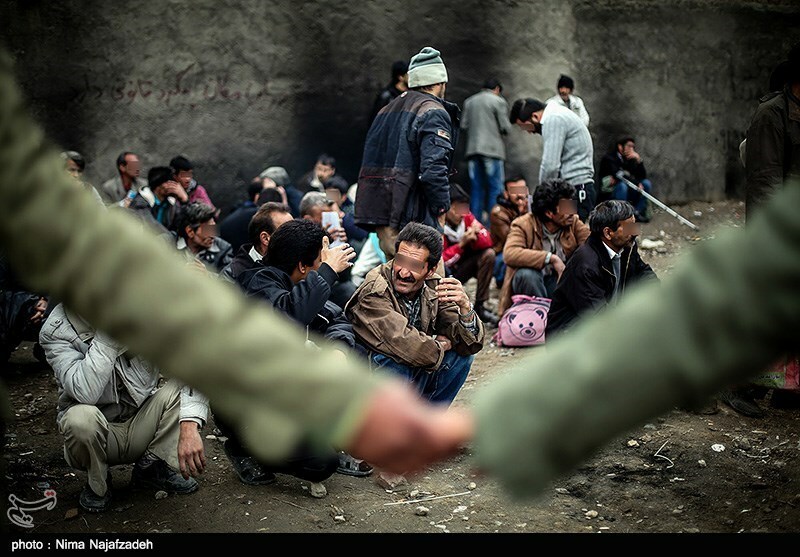 In 2010, Hamidreza Hosseinabadi, Head of the Anti-Narcotic Police notes that some 200,000 individuals were arrested between March and September alone for addiction or drug-dealing. In March 2016, Sardar Ali Movayedi, Head of Anti-Narcotic Police, provided the latest statistics on drug related arrests for the Persian year 1394 (2014-2015). There were 340,000 arrests of which 230,000 were traffickers and 110,000 addicts. Based on several official statements, the proportion of the prison population today serving time for drug related crimes is as high as 70%. The UNODC does not have or does not publish data on executions. Iranian authorities do not publish statistics and do not allow systematic and independent monitoring of cases involving the death penalty. They also deliberately withhold information on executions and do not hand death sentences to convict presumably to avoid bad publicity. The Boroumand Foundation has been documenting executions in Iran for the past 15 years, covering nearly four decades since the revolution. The data, in particular for drug offenders, is far from complete. Limited access to the country and to the most vulnerable, lack of official transparency with regard to the death penalty, scarcity and unreliability of statistics, fear of retaliation, and sometimes shame are among the serious challenges that we face. However, ABF archives and random official statements provide a window in the staggering human cost of Iran’s war on drugs. With the first anti-narcotic law, the number of executions on drug charges that ABF has recorded rose from 38 in 1979 to at least 1017 in the first 5 years following the revolution. The second anti-narcotic law in 1989, aimed at tackling the surge in addiction, was approved by the newly created Expediency Council. 900 executions are recorded in 1989 alone. There are fewer officially announced executions in the 1990s. In the Iranian year 1378 (1998-1999) 233 executions out 1,735 death sentences issued by Iranian courts were implemented and the following year, out of 2390 death sentences issued, 226 executions were implemented. According to one official in charge of the state Welfare Organization for the Province of Lorestan, between 1995 and 2005, about 5,000 individuals were executed for drug offenses. Through its research of daily official news in Iran, ABF was able to record less than 450 executions between 1995 and 2005. As for Sa’id Baluchi, 49, who lived with his spouse and five children in the Koldar Village, a deprived village near Nikshahr, he had an elementary education. He was arrested and executed on March 7, 2015, apparently because the law enforcement forces could not find the driver of a truck carrying drugs who lived in the same village. The stories of victims are heartbreaking and diverse. But they all converge to describe summary prosecutions, contemptuous judges, and most importantly the absence of proper defense. Defense lawyers, told ABF a former addict and repeat offender we interviewed, "is a term we had only heard in movies." Without a real defense, innocents and guilty alike are convicted without much recourse and executed to become statistics in a failed drug war that has lasted for decades. Today, Iran’s judiciary is the top executioner in the world per capita, and authorities have little to show in terms of results. 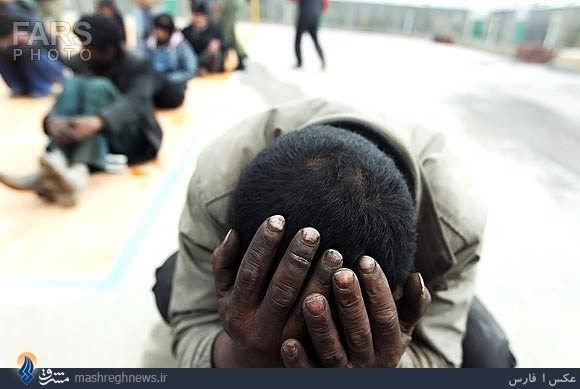 In spite of executing a high number of drug offenders, Iran has one of the highest rates of addiction in the world with, according to official statements, an 8% annual increase. Drug trafficking continues, with, according to official statements again, traffickers being always one step ahead of officials. According to one official, only 5% of discovered drugs come from 90% of the arrests. Undeniably, with a close to 10 00 km border with Afghanistan, drug trafficking aimed at satisfying demand inside and outside Iran is a serious concern. The world drug problem is serious and there are no easy solutions. But, Iran's solution, physically eliminating the symptoms of the problem in violation of Iran's laws and its international human rights obligations, is not among them. Over the years, local and international experts and officials, including within the Iranian drug control headquarters, have recommended policy changes. They have repeatedly pointed to the fact that executing drug offenders violates international law and does not work and stressed the need to focus seriously on prevention and harm reduction. They have noted that executing addicts and couriers has been an obstacle to the arrest of the major traffickers and the successful eradication of trafficking. Officials have pointed to the need for transparency in budget allocations and statistical evaluation of the impact of drug policies. They have criticized the lack of expertise of decision makers and the shelving of reports and reform projects and suggested that bringing laws and practices closer to international standards will facilitate Iran’s cooperation with the international community on drug control. The draft law, supported by more than 70 deputies in the last parliament, which calls for changing capital punishment for unarmed drug offenders to life in prison, is a first step. The Islamic Republic’s decision makers should listen to experts. So far, the political will has been missing among real decision makers. Regardless of changes in leadership and policy over the years, Iran’s top decision makers have shown consistency in one point, that is their contempt for citizens’ lives. To change in this dark picture, many steps can be taken just based on common sense. To begin with, Iran can pass legislation to stop the execution of drug offenders, start a serious program of public defenders, and dedicate the necessary budget to allow the Bar Association to assign and pay a sufficient number of attorneys to review all death sentences to prevent unfair and summary sentencing. Human rights organizations inside Iran have too limited space to reach out to the general public and engage decision makers in a serious and persistent dialogue on the execution of drug offenders. ABF can publish its data to support advocacy efforts inside and outside the country. But, Iranian officials do not talk to human rights defenders, let alone listen to them. Our advocacy efforts will be much more effective if governments and institutions that have dialogue with Iran focus on the death penalty for drug offenders. The concerted and consistent international efforts to bring Iran to negotiations and compromise on the nuclear issue have been effective. Iran’s leaders have shown that they can talk and agree to respect their international obligations when needed. They also want Iran to be a respected and influential member of the international community, with little change or respect for their international human rights obligations. It is now up to those countries and international bodies that have a dialogue to ask Iran to respect its human rights obligations by addressing the death penalty situation. Their consistent and persistent efforts will strengthen the voices of reason inside Iran and save thousands of lives. United Nations Working Group on Arbitrary Detention reported following its visit to Iran 2003: :The Working Group was struck by the absence of a culture of counsel, which seriously undermines due process. This situation is explained in part by the fact that criminal proceedings E/CN.4/2004/3/Add.2 page 15 in their entirety are, as we have emphasized, concentrated in the hands of a single person since the judge prosecutes, investigates and decides the case. The Group noted that many ordinary law prisoners have no understanding of the role of counsel and do not request the assistance of State appointed counsel. The latter are in any event few in number, and largely unmotivated owing to the low pay.” Interviews ABF January-June 2016. Press conference, March 5, 2016, Mehr News. The information on executions is drawn from the Abdorrahman Boroumand Foundation’s day by day research of published Iranian newspapers. Deputy Interior Minister in Charge of Security Affairs, Gholam-Hossein Bolandian, Iran Newspaper, 30 June 2001. See for example Head of Prison Organization, Morteza Bakhtiari’s statement of May 6, 2002 in the Judiciary’s paper Mavi. Gholam Hossein Esma’ili, Head of Prison Organization to Mehr News, August 1, 2011.